Hey there! 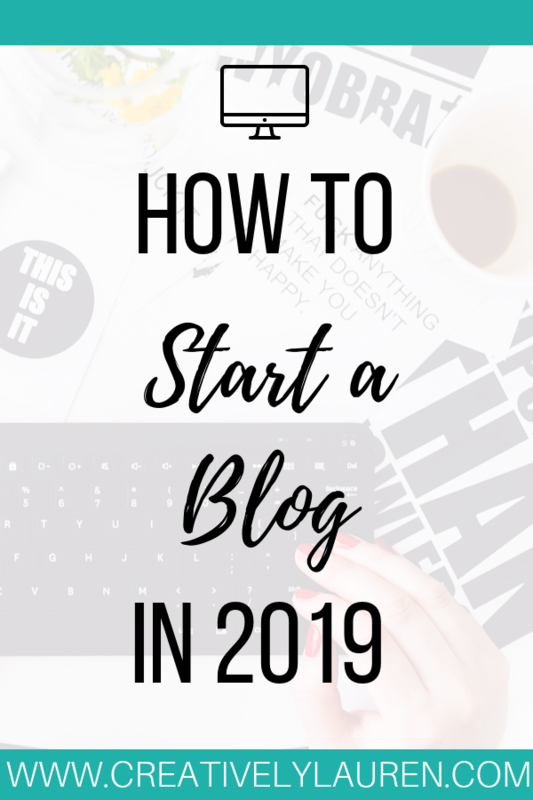 Today I want to talk about starting a blog! I think starting a blog can be a great way to create your own creative space on the internet, or it can be a way to be your own boss! Both are great reasons to start your own blog, but now what? Where do you even begin? 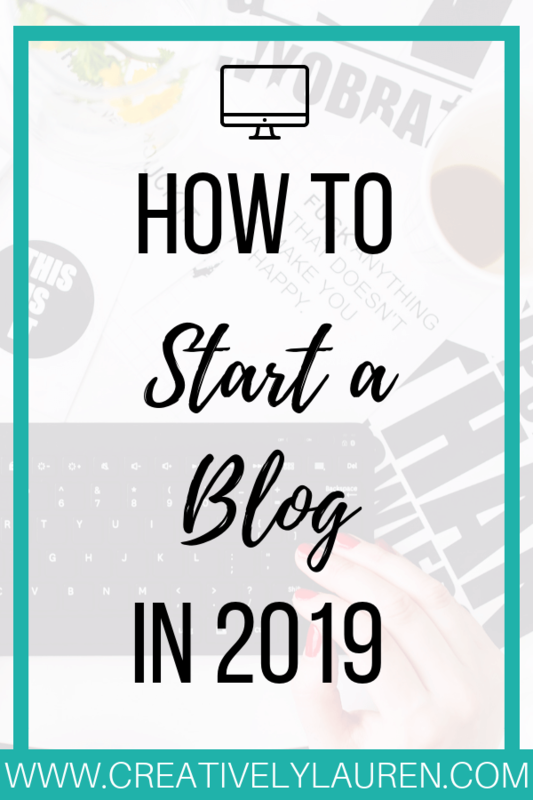 Starting a blog can seem daunting and very confusing. I want to help make it easy for you. When I started my blog, I kind of just jumped into it, I didn’t really have a plan. If I were to start all over, I definitely would come up with a plan before starting. There are so many platforms to choose from. There’s Blogger, WordPress (.com and .org which is self-hosted), Squarespace, Wix. I’ve personally used Blogger and WordPress (.org). I started on Blogger and used Blogger for four years. Blogger is owned by Google, so it has integration with Google AdSense and Analytics, but you don’t own your own site. It’s the same with Squarespace, Wix, and hosted WordPress, you don’t own your content. 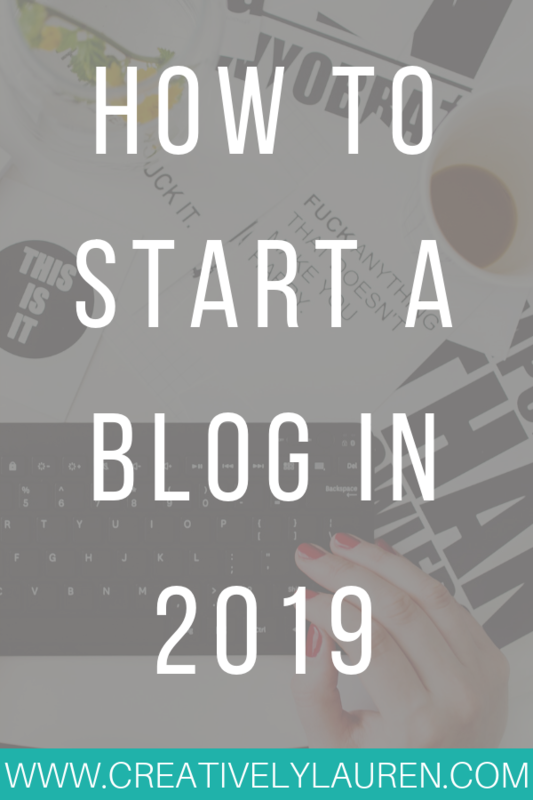 If you are wanting to start a money-making blog, then you’re going to want to start with a self-hosted WordPress site from the beginning. Now here comes the fun part. Picking the theme is one of my favorite, but also one of the most stressful things. You want your blog to represent you, your personality, your goals and you need the perfect theme to do that. All of the platforms have their own themes that you can use, but they aren’t the best. Blogger, Squarespace, and WordPress allow you to use outside themes on your blog. It’s important to pick a theme that you think fits your goal with your blog but also fits your personality. You also want to make sure that your theme is easy on the eyes for your reader. If it’s too busy or cluttered, your reader won’t stay on your blog. Even though most themes come this way now, make sure your theme is mobile responsive so it’s easy to view on mobile devices. I got my theme from pipdig and I love it! (They also migrated my Blogger site to WordPress, but that’s going to be a different post.) Pipdig has a variety of themes for WordPress and templates for Blogger. Those are the only two platforms they have themes for. The current theme I’m using on my blog is Aruba Nights. Now, this is debatable in the blogging world right now. Your niche could be as broad as lifestyle or as narrow as tiny home decorating. My blog niche is pretty broad, I consider my blog a lifestyle blog, and I love it. You don’t have to have a specific and narrow niche to have a successful blog. Don’t go into picking your niche as “how much money can I make with this?” because you will end up burning yourself out because you don’t have the passion for what you’re writing about. This is something that you need to keep in the front of your brain when creating your new blog. 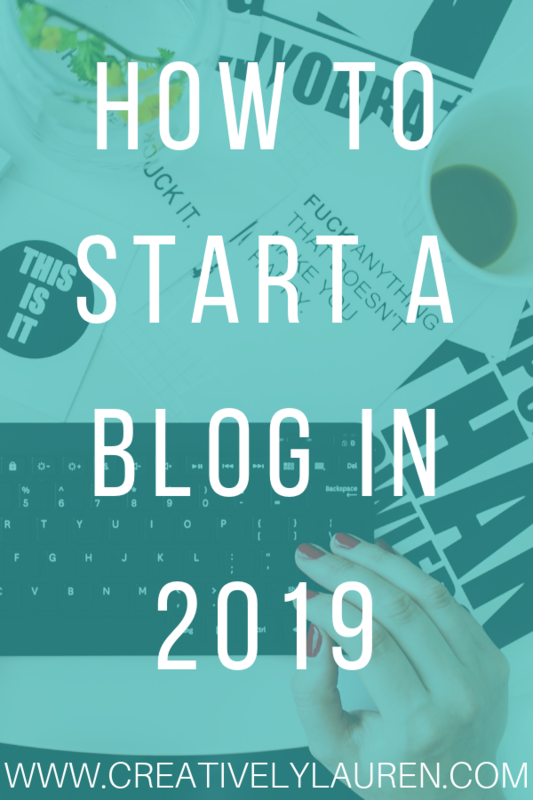 I would say to have about five posts written and queued up before you publish your blog, just so you have content up and your blog doesn’t look empty when it’s published. But, you don’t want to just write five fluff posts just so you have them on your blog. You should start writing five quality pieces of content that will get you on the right track for your blog. After you get your five and get your blog published, work on creating more quality content. Don’t worry about posting every day, or multiple times a week. If you have to publish one post a week to make sure you’re putting out quality content, then post once a week. Social media is one of the sure-fire ways to get your posts seen. But, one mistake many new bloggers make is starting every social media and trying to figure them all out and burning out. Now, depending on what you’re blogging about will help you decide what platforms you need to be on. If you’re going to start a fashion blog, or a very visual blog, then I suggest learning and mastering Instagram. If you want to connect with other bloggers, then I would start a Twitter. If you’re going to blog about blogging, or a lot of seasonal content, then you may want to start on Pinterest. My two top social media platforms are Twitter and Pinterest, they are my favorite. Each platform has its own algorithm and a secret to success, so make sure you dedicate time to each one you choose to be on. The blogging community can be pretty awesome and very helpful. Make sure you take the time to grow connections with other bloggers, ask questions, make friends. There is enough room in the blogging community for everyone. Why? Because everyone has their own unique perspective, point of view, and opinions to bring to the table. If you have any questions, then ask! Check out my complete list of blogging resources to help get your blog off the ground here! 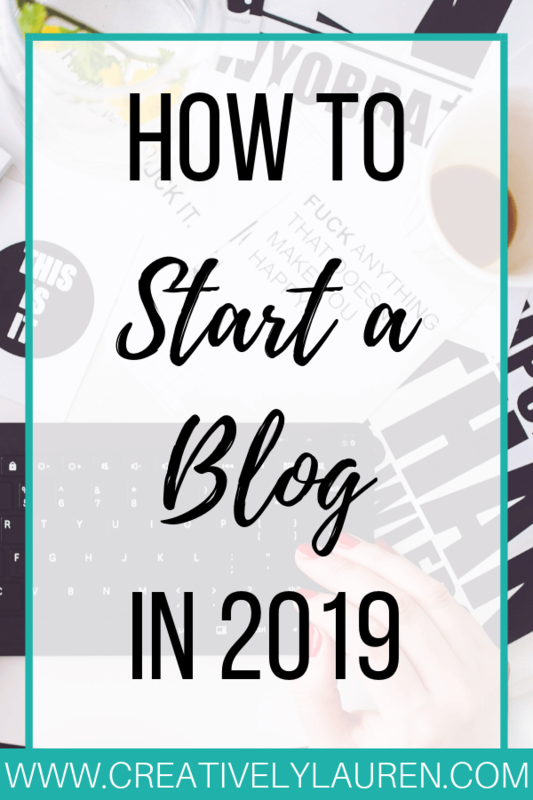 Are you going to start a blog this year? Do you have any tips for new bloggers? Let me know in the comments down below! Like this post? Share it so others can read and like it too!